When we ran this in the July/August 2009 issue, it became an instant classic. The response was so strong that we felt compelled to respond to the demand by printing it again in September/October 2012. For the third time, here are our illustrated cigar faux pas; we’re still inviting you to let us know which ones we missed by tweeting at @cigarsnobmag with the hashtag #CIGARFAUXPAS. We’ll pick our favorites for illustration and share them in an upcoming issue. When choosing his cigar, this misguided poser smells the cigar through the cellophane and then comments on what a great bouquet the cigar possesses. There is one guy worse than the Cello Smeller, and that’s the Glass Tube Smeller! This noob can be summed up with one word: overzealous. Clearly caught up in the excitement of using a cigar cutter, this smoker clips off too much of the head and the cigar ends up unraveling, mid-smoke. A well-practiced bite cut works wonders on parejo shapes, but try it on a cigar with a tapered end like a figurado and you have a problem on your hands. It is the Unraveling Part Deux! This one is always tricky for novices because you can’t see how well or how poorly you’re lighting the cigar as you’re doing it. 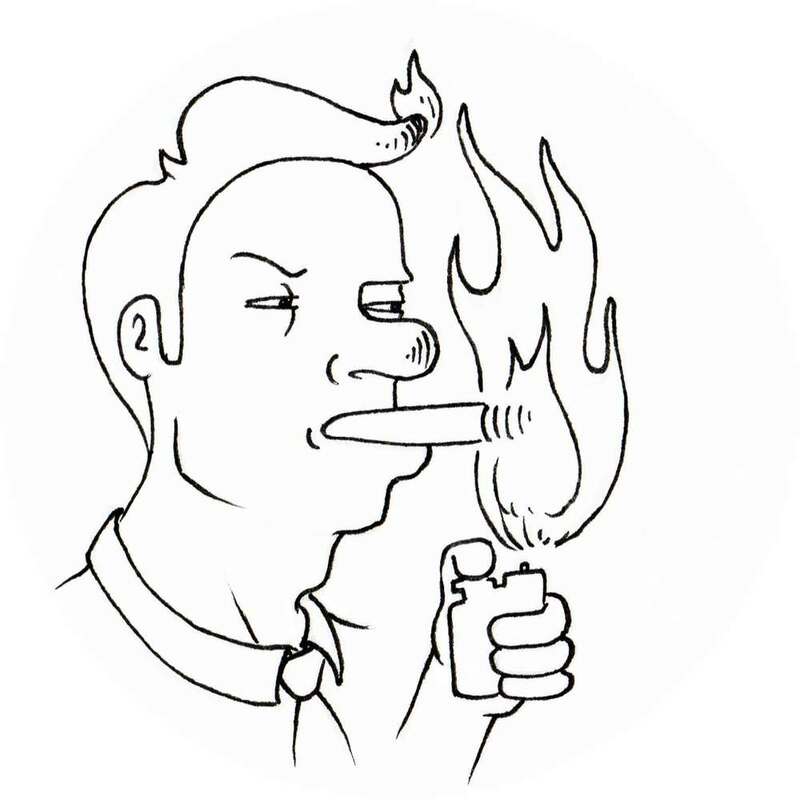 Most novices tend to burn the end of the cigar to a crisp thinking, “the more fire the better!” Not so. 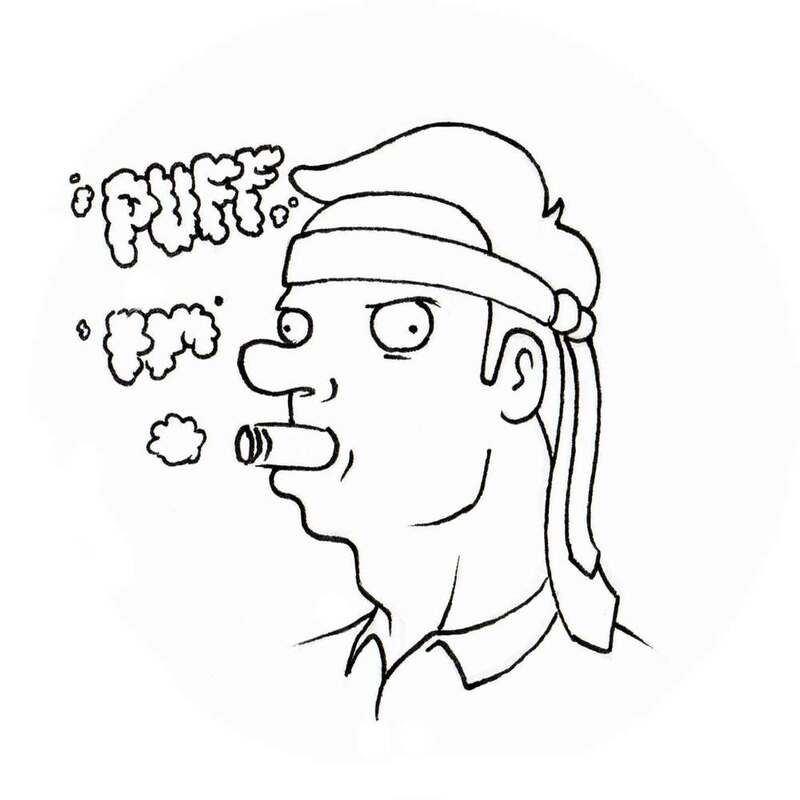 Failing to grasp the concept that cigars are meant to be enjoyed and savored, the smoker rattles off a quick succession of “machine gun puffs.” This behavior has an adverse effect on a cigar and it looks hilarious. Don’t do it. When you’re eating a burger, do you stop halfway and ask your buddies to take a bite out of it? Hopefully not. So why would you share your cigar!? There is no sharing in cigar smoking! If you’re having to spit every time you puff on your cigar, maybe you just don’t like cigars... or maybe you should work in an alcoholic beverage that will go down with the tobacco juice you are trying to get rid of. The ash of your cigar can say a lot about the cigar that you’re smoking. This is why experienced cigar smokers let the ash go as long as it holds. Among other things it is an excellent indication of the construction and production quality of the cigar. Give it a chance. Dipping a cigar does nothing other than completely nullify the flavor characteristics of that cigar. But if you truly enjoy the resulting flavor of the dipped cigar, then maybe you should try flavored cigars—they come pre-dipped! Like you. A cigar smoker with an unbreakable cigarette habit is a sad sight. 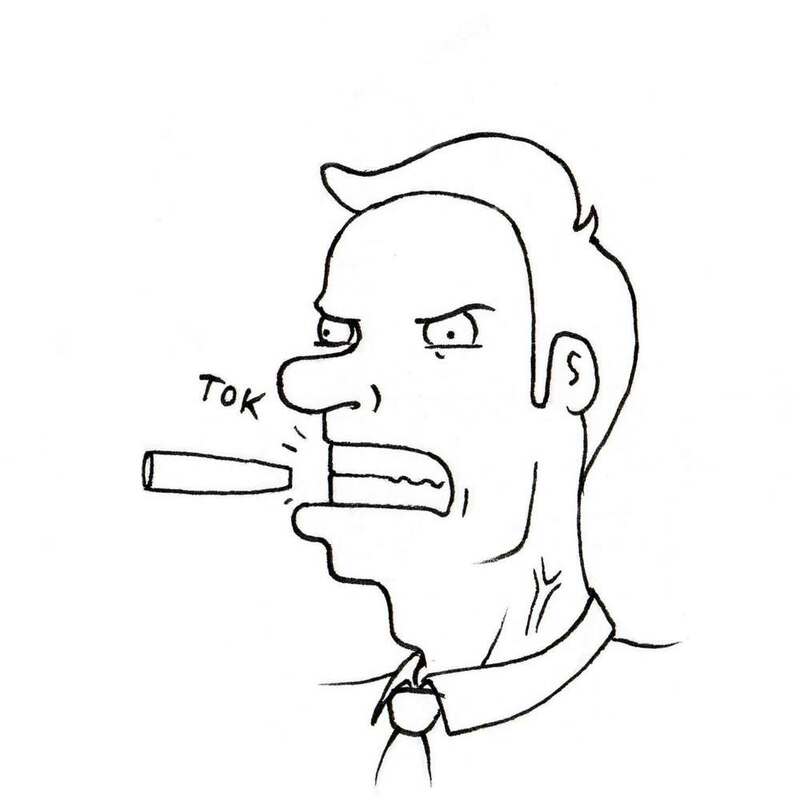 Midway through smoking a cigar, the smoker puts the cigar down and lights a cigarette, later to continue repeating the cigar, cigarette, cigar cycle. So sad.